Welcome to the TopDown Engine Documentation. Here you'll find everything you need to know to create your own top-down game! What is the TopDown Engine? 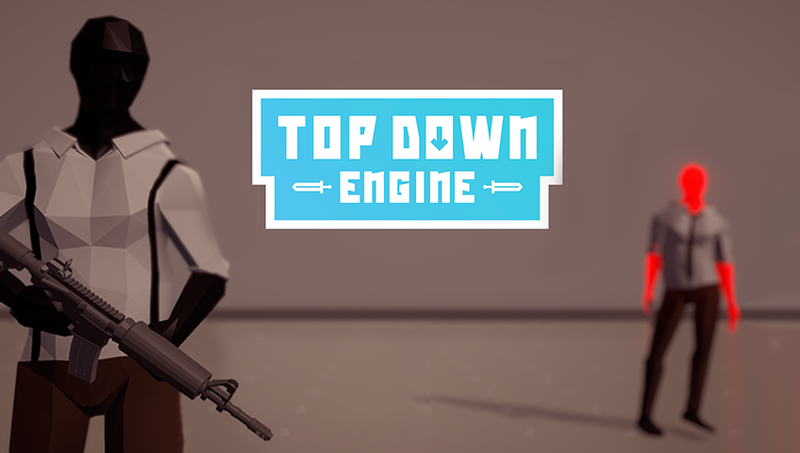 The TopDown Engine is a top-down framework by the creator of the Corgi Engine, available on the Unity Asset Store. It’s a very fast, tight, mobile-friendly, robust and extendable engine built with quality and game feel at its core to start creating your own 2D or 3D game with a top-down perspective right now with Unity. It’s been designed to act as a foundation for all sorts of top down games, from dungeon crawlers like Binding of Isaac, to adventure games like old Zelda games, through beat em all like Final Fight or gun heavy games like Hotline Miami, and really any game where the camera is positioned above the action. It’s a fast, production ready, versatile, lightweight, and easy to extend solution that will help you give a serious boost to your project. I get errors after installing the package / The camera doesn’t move! If you’ve imported the asset in a blank project, the Engine should automatically handle that for you, and install the required dependencies. If despite that, you still get errors mentioning Cinemachine or PostProcessing, or if the camera doesn’t follow the player, you can try to go to the Tools Menu at the top of your screen, then More Mountains, then Welcome To The TopDown Engine. That should fix it. You can download the asset’s project settings and Package manifest here. Quit Unity, download these files, and extract them in your project. The manifest.json file must go into your_project/Packages, and the ProjectSettings.asset file must go into ProjectSettings. Once you’ve replaced these two files, open Unity again, all should be good. And if all that fails, please use the support email and provide some info about what you did so far, and what happened, I’ll be happy to help you. A bit of info about why this may happen : Unity allows (for now) an asset on the Asset Store to upload its Project Settings folder (which includes input, quality, etc), but not the Packages’ manifest.json, which describes what packages the asset uses (such as, in this case, PostProcessing and Cincemachine). So the TopDown Engine implements an auto downloader that, once the asset’s been imported, runs a check, downloads the packages, and makes sure everything works. Of course, this is not as robust as it could be if it was native to Unity. I’m working with Unity right now to change that, and have a native solution. In the meantime, please try the steps above if you run into issues. In addition to that, and to avoid errors, the engine uses Scripting Define Symbols to let scripts know if the Cinemachine, Post Processing and Pixel Perfect packages have been installed correctly, as Unity and the Package Manager don’t offer that option natively for now. The automatic install process will add these automatically. It seems like when an issue happens at import, some settings get lost. It’s nothing to worry about. In the 2D scenes, you’ll want to make sure the Pixel Perfect Camera component on the MainCamera has its Assets Pixels Per Unit value set to 16, and the virtual camera an orthographic size of 6.9. For 3D scenes, you’ll want to select the virtual camera (usually named CM vcam1) and set its field of view value to 40 using the slider in its inspector.